A prominent female Labour MP has said the party should consider a man and woman holding the leadership in a job-sharing arrangement – which “absolutely” could continue into Downing Street. 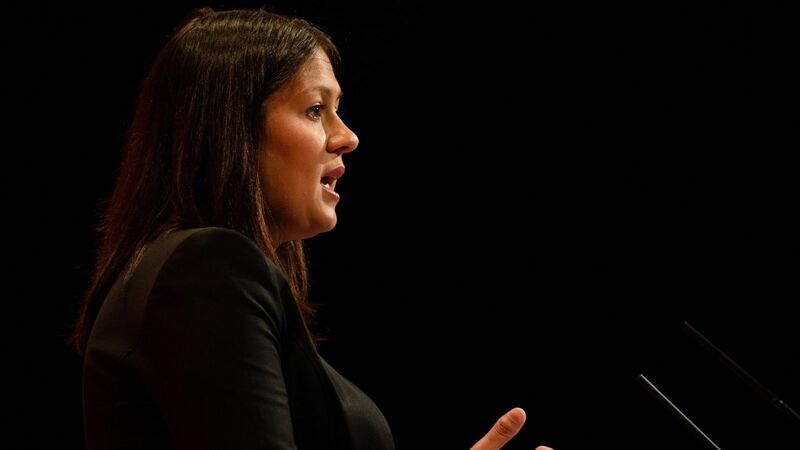 Lisa Nandy told Sky News she would like to see Labour follow the example of the Greens in electing a joint male-female team at the top of the party, keeping the arrangement if it wins power. She was speaking to Sophy Ridge on Sunday in the wake of Labour’s National Executive Committee (NEC) backing the election of a female co-deputy leader to serve alongside Tom Watson. The NEC move has sparked speculation the likes of Emily Thornberry, Angela Rayner or Rebecca Long-Bailey could put themselves forward for the role as a precursor to an eventual bid for the top job. The Wigan MP added: “I really welcome this announcement from the NEC today, I think it’s absolutely essential that we have got a woman somewhere near the top of the party. “But I don’t think that should stop at deputy leader. “I think we should have this sort of system for leader as well. Ms Nandy said she was basing the call on personal experience, noting that as a former shadow energy secretary she relied on her team to stand in for her as she tried to balance her work life with the demands of a young family. “It would have been great for me to be able to job-share in that role,” she said. When asked if she would want the job-sharing arrangement to continue into Downing Street if Labour were to win an election, Ms Nandy said you “absolutely could” keep the system going. “Women do tend to lead in that way, collective leadership and bring people with them,” she said. Speaking to the same programme, the shadow business secretary Ms Long-Bailey said she had “not even thought about” putting herself forward for the new position. “I honestly haven’t thought about it,” she said.